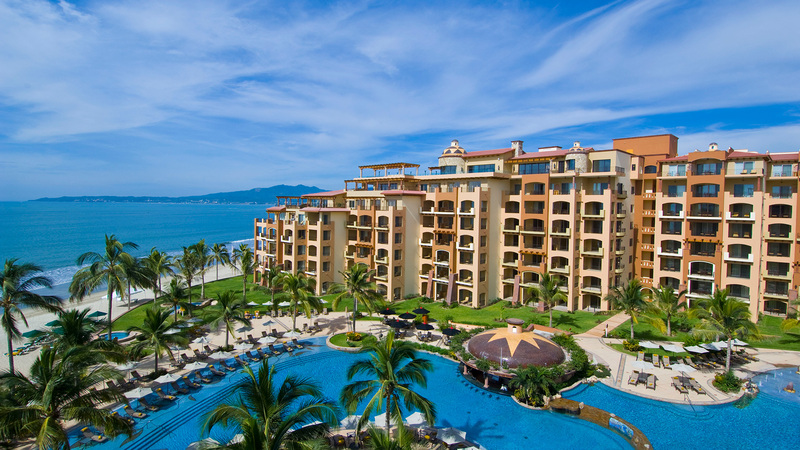 Thinking of booking a Nuevo Vallarta all inclusive vacation and wish you had more information? At Villa La Estancia Riviera Nayarit, we know you may have a few questions regarding Mexico travel, our resort in Nuevo Vallarta, or about the top destination in general. It is our hope that by answering these Nuevo Vallarta frequently asked questions, we will set your mind at ease so you can begin planning your vacation. If you should have further questions regarding travel to Riviera Nayarit or your stay at Villa La Estancia Beach Resort & Spa, please do not hesitate to contact our professional reservations team. Professional travel experts are standing by to ensure your vacation experience begins on an exceptional note. Yes. Mexico is safe and very accommodating to tourists. Rest assured the resort towns of Riviera Nayarit offer the utmost in tranquil, relaxing vacations, weddings and honeymoons. What is the weather like in Nuevo Vallarta? No matter what time of year you visit the city, the weather in Nuevo Vallarta is almost always perfect. In this top Mexican destination, the sun shines an average of 360 days a year and temperatures hover between a comfortable 60-90°F. While the most popular time to visit Riviera Nayarit is from mid November to the end of April, the entire year provides sufficient sunshine and blue skies for a wonderful vacation experience. Even in the summer months, when rain showers are prevalent, the sun shines throughout the day, making the cooling showers at night both refreshing and inviting. Check out our Nuevo Vallarta Live Cam to see what Vallarta weather has in store for travelers today. Nuevo Vallarta is located in the Central Time Zone (GMT -6), the same as the cities of Dallas, Chicago, and Mexico City. Will I be able to communicate with the locals in Riviera Nayarit if I don’t speak Spanish? While the locals throughout the region love and encourage visitors to speak the language, English is a widely accepted form of communication for those who don’t speak Spanish. While at our optional all inclusive resort in Nuevo Vallarta, you’ll find that our waiters, retail workers, resort personnel, and many more speak English, as well as Spanish, throughout the day. During your Mexico vacations, you should have no problem communicating your wants and needs. You can call the online travel site where you made your reservation or call the Villa La Estancia resort's direct telephone number in the Contacts & Info section. I would like to get married in Mexico at Villa La Estancia, can you tell me the legal requirements? You'll find the legal requirements in our "Weddings & Honeymoons" section, along with wedding packages for our resorts. Congratulations & Best Wishes! And by the way, Villa La Estancia Riviera Nayarit specializes in vow renewals and honeymoons as well! In order to give the best service to all our visitors, we do not allow pets at Villa La Estancia Beach Resort & Spa. The Licenciado Gustavo Díaz Ordaz International Airport is located approximately 20 minutes from Villa La Estancia Riviera Nayarit. There are no free shuttles, however we will be happy to make arrangements for your transfers to and from the airport. Please note that there is a nominal fee required for the airport transfer service to our resorts in Nuevo Vallarta.